As a robust and server-side language, PHP has quickly become a highly popular open source programing language for dynamic web applications. 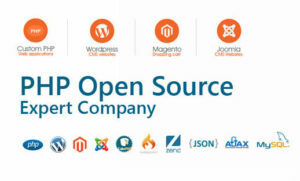 PHP, as well as MySQL, Linux and Apache, popularly known as the LAMP platform, offers clients a reliable alternative to commercial software development platforms if they are looking to build and run dynamic and high-performance web applications. We have an experienced team of PHP programmers who have completed numerous PHP Web Programming projects that will be able to assist you.